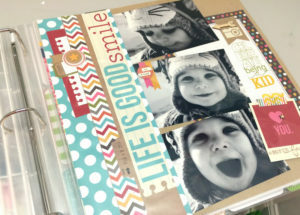 Scrapbooking could mean a lot to your children, grandkids, nieces or nephews. This is because of the fact that scrapbooking preserves unique stories that future generations will enjoy for many years to come. Scrapbooking has the ability to bring back memories that even photos cannot. Scrapbooking will make you value your life as it makes you appreciate your past experiences, events, and people around you. It will even make you live with a thankful heart and reduce stress as you will reflect on happy memories that make you feel good. Scrapbooking involves lots of new things that make you more creative. When it comes to scrapbooking, there are several mediums and new techniques to experiment with. This makes scrapbooking a good creative outlet. 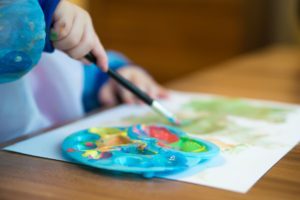 You will be getting creative and experimenting while creating something that is not only useful to you but also to your family and future generations. Most of our lives are pretty fast-paced. As such, it is good to have something that will remind you of years gone by. 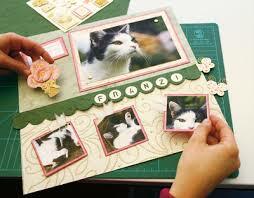 One of the best ways of achieving this is by considering scrapbooking. In fact, with scrapbooking, you can document seasons such as babies, weddings, graduations, new jobs, moving to new homes and so on. While creating your scrapbook, you will be able to process every season, appreciate it and remember how far you have come. I am sure that those who have never tried scrapbooking before may not believe me when I say that scrapbooking is a fun activity. If you are one of them, just try it. Start by making one album. To make scrapbooking fun, just find your way to do it. By doing so, you will love the process and the end result and you will surely enjoy doing it from time to time. Scrapbooking is simple and artistic or organized as you want and it is a gun activity mainly because it allows you to express yourself and play with ribbon, paper and even computer elements such as digital brushes and fonts. Just find what works for you and I am sure that you will most likely be obsessed with scrapbooking. Cricut Vs Silhouette – Which Is The Better Cutter? Are you currently looking for a cutting machine? If you are, you are probably aware of two of the best companies that produce them. This would include Cricut vs Silhouette. These machines are very helpful, allowing you to cut things very quickly, but each of them is going to have both benefits and drawbacks. Sometimes you are thinking about finding a cutting machine that is fast, whereas others are going to be a little more accurate. Let’s discuss the differences between the two and finally help you choose one that’s going to be the best. What Do Cutting Machines Do? When purchasing these cutting machines, you are going to pay several hundred dollars for each one. For example, if you decide to get a Cricut Maker, or Cricut Explore Air 2, these will be right around $300. On the other hand, if you get a Silhouette Cameo or one of the other models, you will never pay more than $250 in most cases. Logic may dictate that the more expensive model will be the best choice, but that may not be the case. In this overview, we will discuss which ones are much more efficient, and also which machines are the most reliable. Although these are very efficient, one thing you will notice with some of them is that you may end up with what are called project fails. You may insert the material, and depending upon how thick it is, you could end up losing a lot of money. Part of that has to do with glitches in the computer program that is operating the system. However, some people have only had a few problems every now and then. This is common with many cutting machines. It just depends on the type of material you are using and how often you are going to be using it. These are very similar in size and cost. They are going to be able to handle many different types of material. It’s not just vinyl that these machines can cut. For example, you can cut foam, cork, leather, chipboard, and even magnetic sheets. Aluminum is another very popular material that you may end up cutting. It just depends on the project you are working on. This type of machine is also going to have certain materials that will not work as well. Which One Has Fewer Failures? The machine that has fewer failures is always going to be the Cricut cutting machine. There are usually only two materials that it may have problems with. This would include foam and cork. It will allow you to load almost all of the materials that have been mentioned without any problems at all. When compared to the Silhouette machines, cork seems to be the only material that did not have any problems. All of the others had failures, so keep that in mind as you are looking for a cutting machine that you would like to use. Now that you know that one of them is much more reliable, you should consider investing your money in the one that will work the best. Although there may be other Silhouette machines that may come out in the future that will be much more reliable, you’re better off at this point in time with a cutting machine from Cricut. The Cricut Explore Air 2 and to Explore are excellent choices if you are looking for something that is reliable and inexpensive. If you want to save money when cutting your materials, then you really need to consider using this one above all of the others. By spending a little extra money, such as on a product from Cricut, you will likely be making the best investment. Getting into the craft of making quilts, party decorations or scrapbooks is lots of fun. These crafts are also great ways to create heartfelt gifts. 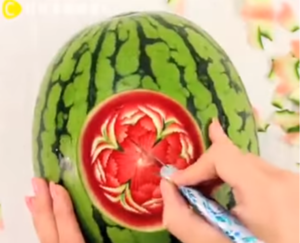 If you have decided to start doing crafts of these kinds seriously you have heard about die cutting machines. You may have wondered what they are. This article inspired by CuttingMachineReviews official website, explains these handy machines for you. A die cutting machine is made to cut materials like paper, fabric, or metal into specific shapes. If you are making party decorations, for instance, a die cutting machine would be the machine to use to create a multitude of star decorations to hang up. There are two types of machines. One is a manual machine and the other is digital. Manual machines can be thought of as cookie cutters because you obtain dies that cut the material to the shape you like separately from the machine. The digital machines cut materials the way printers print. You send your designs to the digital die machine from a cartridge or a computer. Besides cutting the shape, some machines will emboss or pierce designs for texture and function. A beginner to these machines may want to start off by purchasing a manual die cutting machine. This gives the most ease of use. It is a good introduction to the process and can help stimulate creativity. They give you more control and are easier to operate as you learn the technique of die cutting. This can be especially helpful if you are leaning towards cutting fabrics or paper rather than an array of materials. Industrial die cutters are another type of machine you will find. These are usually left for mass production. Rotary die cutters are the most popular. They can assume the pressure of nearly 20 tons and are extremely efficient. They work off hydraulics and can produce about 25 thousand cuts in a day. Some of these machines are driven by air power. If you are using your machine for home crafts, you only need to be concerned with the manual or digital die cutters. If you have experience with large printers and commercial printing needs, the digital die cutting machines may be suitable for you even if you are starting to learn this fun type of craft. When choosing either type of machine, you need to consider the cost. You also want to factor in which types of materials you plan to cut. Knowing the size and portability of the machine is another thing to think about.